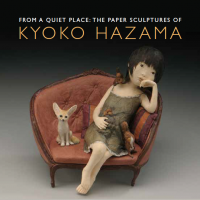 A self-taught artist, Kyoko Hazama fabricates intricate sculptural forms and depicts insightful scenarios with manipulated wire armatures and layered, colored washi. Using her brilliant technical skills, she mesmerizes her audience, portraying herself in her inner magical world. 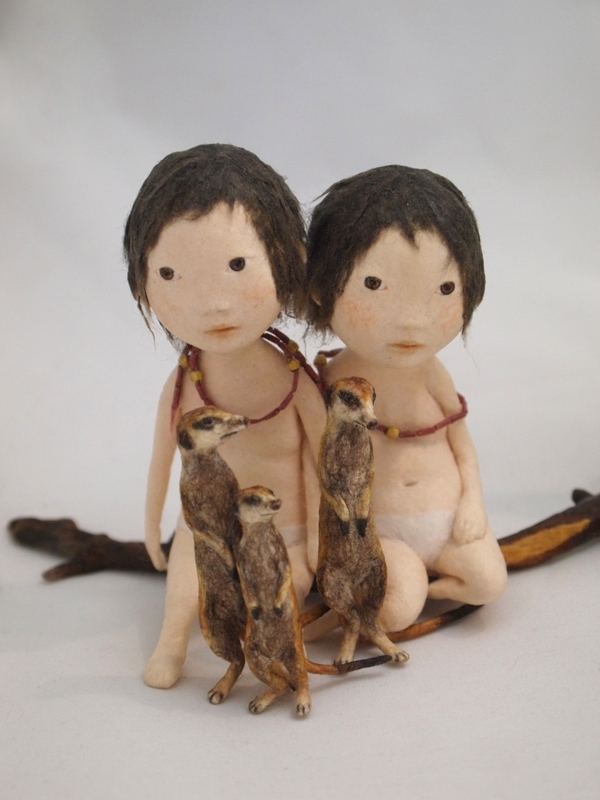 With wit, humor and thoughtful contemplation she reflects the rich cultural history of Japan, celebrating nature and the sublime creatures who inhabit it. As a child I played with washi, the traditional paper of Japan. In my mid-twenties I started fabricating the small sculptures which are pictured below. Although my ideas are constantly being drawn, pieces are often started without a sketch. Beginning with constructed armatures filled with paper, sculptures are formed by layering washi to construct the figures. Handmade washi is available in many colors; my variety of colors is created by layering thin pieces of washi together. I am inspired by animated cartoon characters from the Czech Republic. Their facial expressions never change but reveal a variety of emotions. Conveying tranquility and strength, traditional Japanese folk art dolls are another source of inspiration and comfort to me. My work is very personal. Each piece fulfills a feeling of emptiness that is inside me. Making my work is a way of seeking peace. Human figures are always female forms because they are symbolic self-portraits. The animals that accompany the human figures are symbols of generosity embracing all.